Timeless and chic the Italo mirror from RV Astley presents a sophisticated square mirror with stylish surround. 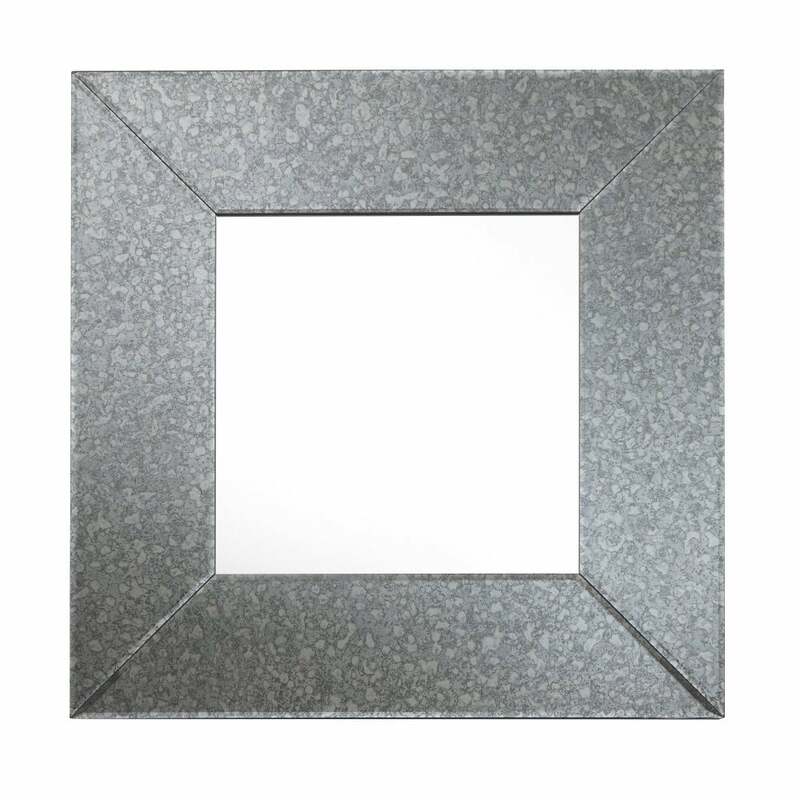 The surround of the square mirror features a brushed silver antique effect for a striking reflective ambience. Each corner features a subtle indentation tapering towards the outside edge which enhances the mirrors reflective surface. A sophisticated and stylish mirror, the Italo can be styled in either traditional or contemporary settings. Add the Italo mirror to a narrow hallway to encourage light to reach darker areas. Style the Italo as a focal point in the living room or bedroom.